Two gangly teens get ready to race in the Jared Hess short film “Winner Take Steve,” via the ad agency Wexley School for Girls. I’ve been lucky to enjoy a lot of great short films over the years at the historic Tower Theatre. And on Feb. 13 and 14, Filmworks will again bring the world’s best short-form cinema to town when it screens The Oscar-Nominated Short Films 2014. “Winner Take Steve” tells the story of Steve Caulkins and Steve Dingle, two gangly misfit teens from Anywhere U.S.A. who find themselves locked in an epic identity battle when their high school gym coach challenges them to a race. 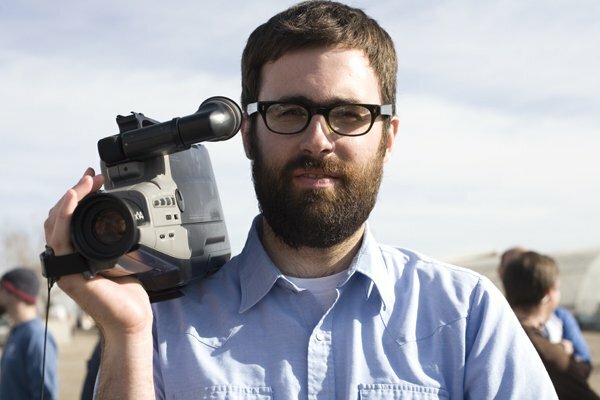 Jared Hess, the mastermind behind the now-classic 2004 teen comedy Napoleon Dynamite, directs the short film. He originally made it for the Seattle-based marketing agency Wexley School for Girls as part of the “You’re Faster Than You Think” advertising campaign for Nike. The short film apparently ended up a bit too weird for Nike and it never aired, but it later went on to attract loyal fans at the Slamdance festival and others. 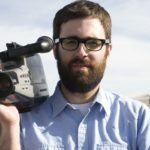 Filmmaker Jared Hess, via the blog Geek Tyrant. I love to show “Winner Take Steve” on the first day of my Intro to Film Studies class at Fresno City College. Hess uses all the basic elements of film– mise en scène, cinematography, editing, and sound– to serve his narrative, a simple but somehow eccentric story of two socially awkward small-town boys going through a basic rite of passage: naming yourself before you are named. The short gives my students, who are mostly beginners at recognizing and using the language of film, their first chance at analyzing something onscreen. In his own quirky way, Hess skillfully creates a unique but recognizable world that makes a student’s first crack at practicing this kind of visual literacy accessible and fun. The activity also reminds me about what I love in short films: They each operate in their own little universe, and in their few short minutes they can communicate so much. In this way, movie lovers win too.